Welcome to our sixth edition of “Marlin Spring’s Colour of The Month”! We hope you enjoyed August’s edition where we explored the artful and flirtatious Rapture Rose (which you can find here). This month we’re going to be checking out Pantone’s Spiced Apple (Pantone 18-1325 TPG); a warm and wholesome colour that’s perfect for transitioning into the fall months. Spiced Apple is the perfect addition to Pantone’s Fashion Colour Trend Report; an edition that many are saying highlights consumer’s desire to mix, blend, and create the unexpected in order to explore the unique nuances of colour expression. Brown with a strong red undertone, this hue brings the sophistication and energy associated with reds while muting it gently using the earthy, calming nature of brown. This multidimensional, grounded pantone really draws attention to the ability of colour variety within a space! The colour brown too often gets a bad rap by those who label it as a lackluster or boring colour. However, in the décor world, it is known for its rich, earthy quality that provides a warmer and more welcoming environment than its other neutral counterparts: blacks, grays, and whites. Spiced Apple goes a step further by introducing an even richer motif through the use of deep, enveloping red undertones. This dynamic fusion creates a wonderful combination which is both calming and dramatic in its own way. Cozy and lucious, Spiced Apple makes you want to curl up with a book or sit in front of the window with a warm cup of tea. Of course, as with all darker colours, it might be too dramatic for all four walls, making the room heavier and quite dark. Unless your room gets A LOT of natural light, you may want to consider keeping it contained to an accent wall so it doesn’t overtake the space. Of course, if you’re not looking to make a big commitment, a simple way to introduce Spiced Apple into your home is through small accessories. A few toss cushions or a throw blanket in this colour can give any stark spaces in your home some more ‘oomph’ and will draw the eye without taking over the space. As a quick tip, although this colour is really conducive to napping, we recommend keeping it off your bedroom walls. Warm, dark colours in your room can make it exceptionally hard to get up in the morning, leaving you feeling more tired than usual. Spiced Apple is a great colour that combines the calming natural essence of brown with the warming energy of red. 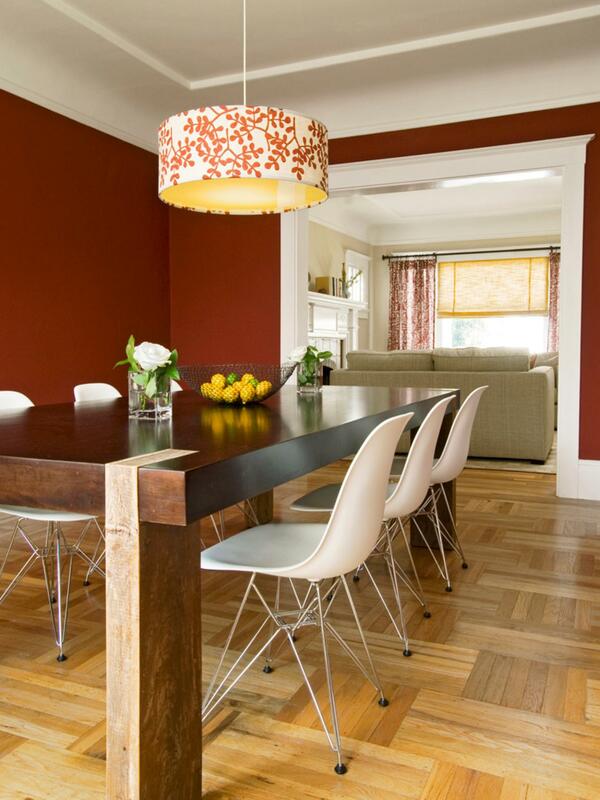 Used correctly, this hue will bring a strong cozy feeling to spaces that may otherwise feel too harsh. Stay tuned for more decor tips and tricks like these in MarlinSpring’s blog series.